Are you looking for your pumpkin fix, any way you can get it? 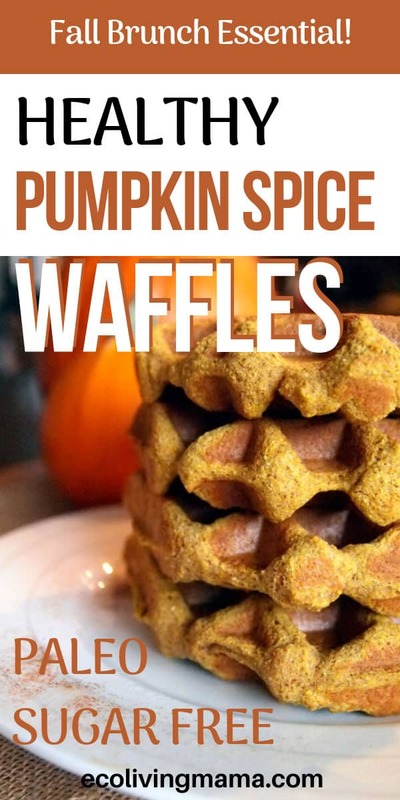 Skip the sugar filled PSL and try PSW (pumpkin spice waffles) instead! 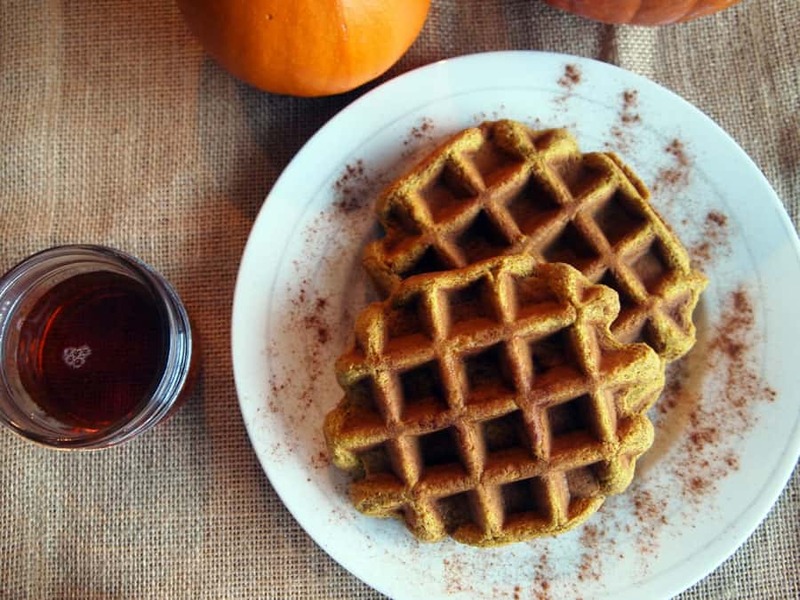 These Paleo Pumpkin Spice Waffles will satisfy your pumpkin spice craving without the sugar crash. 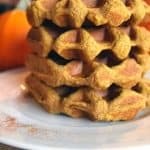 My Paleo Pumpkin Waffles are made with coconut flour and they are grain-free, dairy-free, sugar-free and perfect for fall. They taste delicious and make a hearty, filling breakfast. These are not what I would call light and fluffy waffles, but more cake-like and a little dense. 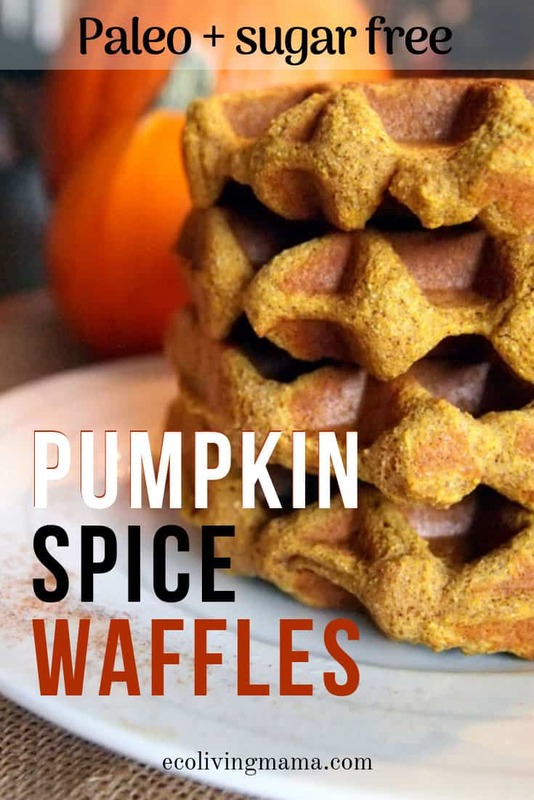 This is a variation of my standard coconut flour waffle recipe, but amped up for fall with pumpkin, cinnamon, clove, nutmeg and allspice. 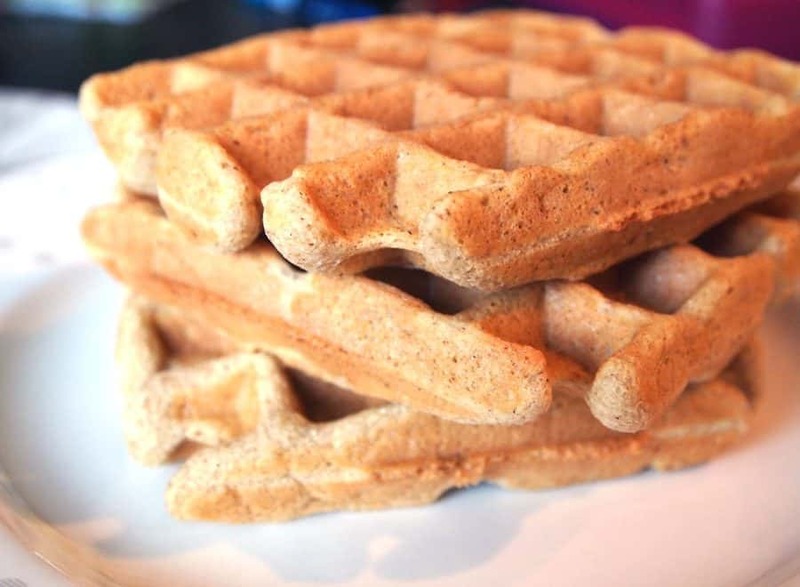 These waffles are dying to be topped with real, warm maple syrup. And served with a warm cup of pumpkin reishi hot chocolate. Talk about an amazing Sunday morning brunch! 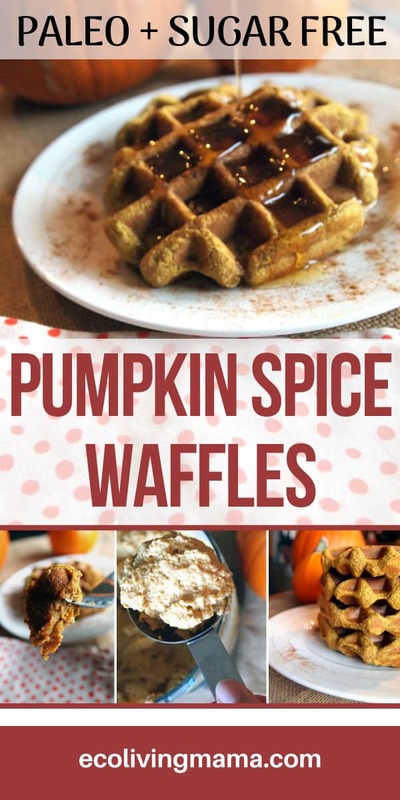 The combination of coconut flour and arrowroot powder helps these pumpkin waffles have a more cohesive texture. I love including arrowroot powder in my Paleo goodies because it helps hold together more like a traditional gluten flour. 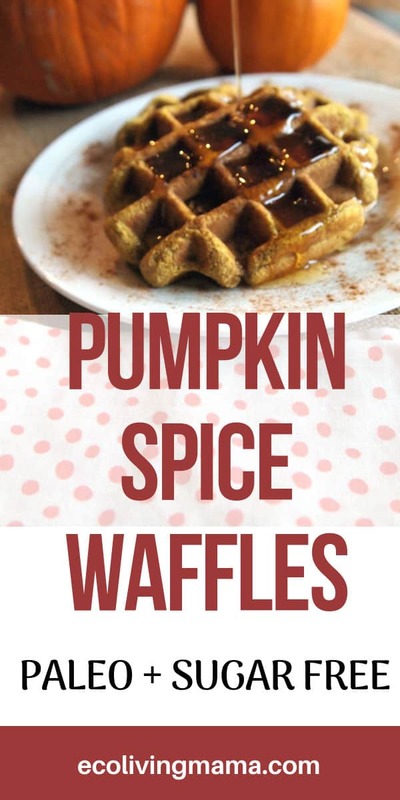 This recipe makes a HUGE batch of Paleo Pumpkin Waffles. My original recipe was half this size, but I always end up making a big batch because these are such a hit at my house. These waffles freeze wonderfully, so I make the big batch every time and freeze them for quick breakfasts during the week. If you’re not feeding a gaggle of kids like me (3 counts as a gaggle, right? 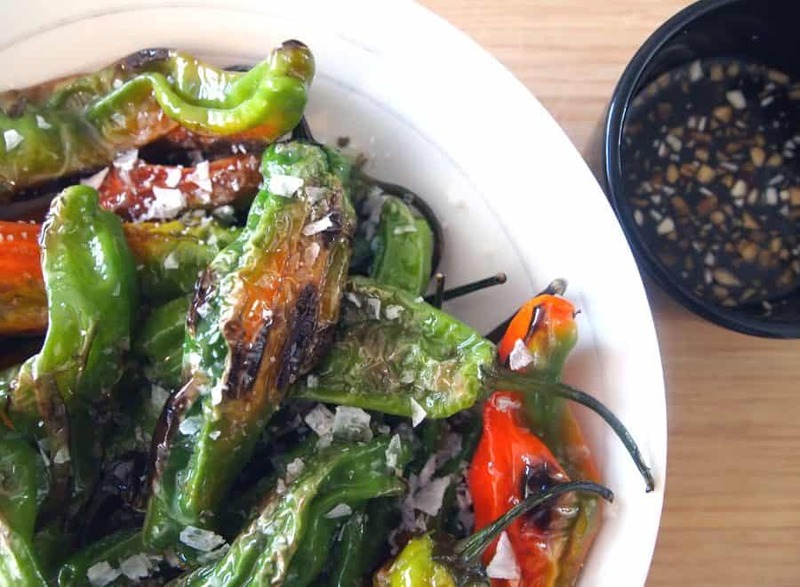 ), then feel free to half this recipe. I prefer the traditional square waffles because each waffle is big enough for a meal AND fits perfectly in the toaster for re-heating. This is the waffle iron I use. 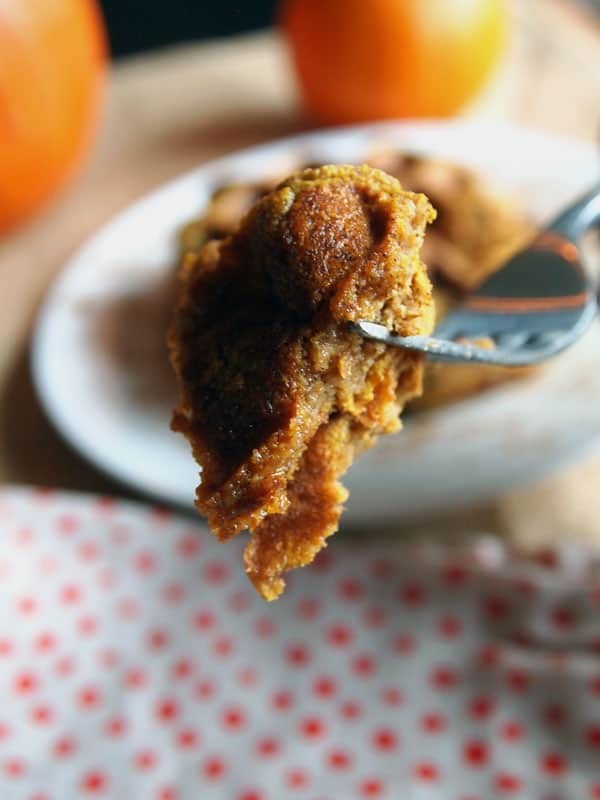 These Paleo Pumpkin Waffles are made with coconut flour and they are grain-free, dairy-free, sugar-free and perfect for fall. They taste delicious and make a hearty, filling breakfast. Freeze extra waffles for up to 3 months. These look so tasty! 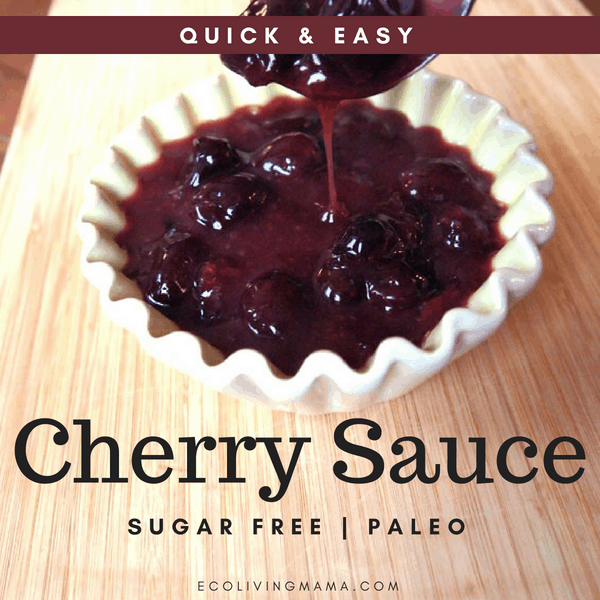 I love your recipe — I appreciate a good recipe with whole foods 🙂 Thank you so much for sharing! I can’t wait to make these for my family. Thank you Amanda! I hope you and your family love them!